Dr. Lisa Jenkins is a licensed physical therapist in the state of Florida. She has held previous certifications as a Brain Injury Specialist (CBIS) and in Healthcare Compliance (CHC). She is a core faculty instructor at the University of St. Augustine for Health Sciences Miami campus. There, she holds a dual role not only as an instructor, but also as the Academic Coordinator of Clinical Education, ensuring a quality clinical experience for students in the Doctor of Physical Therapy program. 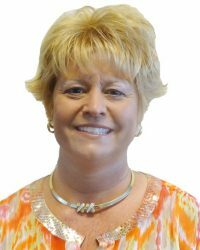 With a long work history mostly in management, she established and ran her own business, Clinical Resource Services, LLC, for seven years. Her interests have focused on educating established and future therapists and other healthcare professionals. She has held several regional and national positions where she presented formal board-approved education programs and defended Medicare claims with an administrative law judge. Her collective experiences have enabled her to be recognized as an expert in her field through several industry-specific publications. She is enrolled in the Doctor of Education program at the University of St. Augustine for Health Sciences.